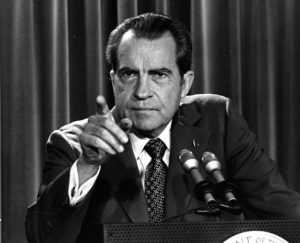 Remember Richard Nixon’s “I am not a crook”? Or Bill Clinton’s “I did not have sexual relations with that woman”? Of course you do. In the midst of crisis, both of these presidents failed to heed a top rule of professional media trainers: don’t repeat the negative. Had they heeded that advice, it’s unlikely that “My conscience is clear” or a bland “I’ve done nothing wrong” would become as memorable—or in this day and age, as Tweetable! When a reporter asks you a leading question, don’t be led into the same trap. Know your talking points, stay positive, and stay on message. Never repeat a negative question to deny it, and try to use only positive words in your response, using phrases such as “I think what people really want to know is…” to bridge to the talking points that you practiced.